Virtual biology and anatomy lesson: students are transported to a virtual classroom - a skeletal model with interactive components, like bones and organs. Students can manipulate parts of the model at will, using just their hands. As the technology behind virtual and augmented reality becomes more advanced, the possibilities of use expand in an exciting way. Now, virtual reality is becoming a realistic option for classrooms. 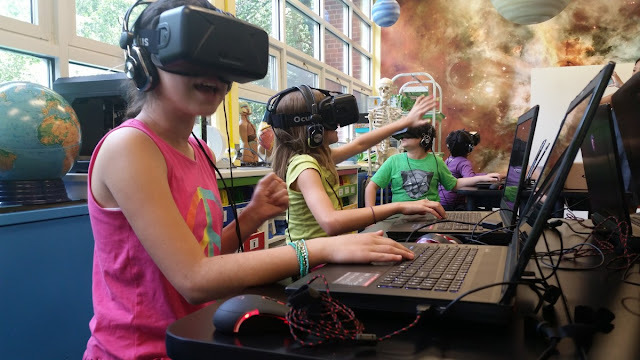 According to Cornell Chronicle, in a new study by Cornell University, scientists explore whether the compelling, immersive nature of virtual reality (VR) provides a better learning outcome than conventional hands-on activities. For the study, scientists created a simulation called Learning Moon Phases in Virtual Reality. The simulation is a part of a multi-phase research study to determine whether the immersive quality of VR improves learning. After completing their activity, each participant was shown the other two methods. The VR activity was preferred by 78 percent of the participants. 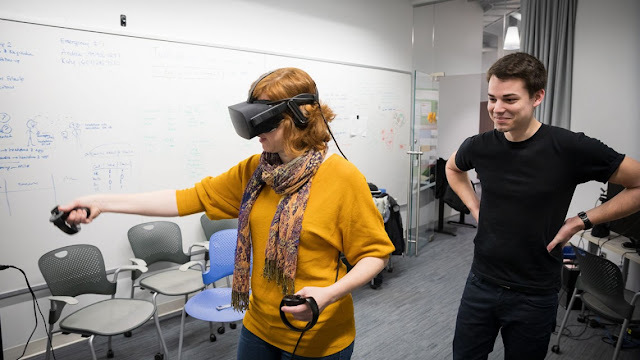 Jack Madden, doctoral candidate in the field of astronomy, watches as Andrea Stevenson Won, assistant professor of communication and director of the Virtual Embodiment Lab, uses a virtual reality simulator. The study, was conducted in the Virtual Embodiment Lab (VEL) in collaboration with the Cornell Physics Department. 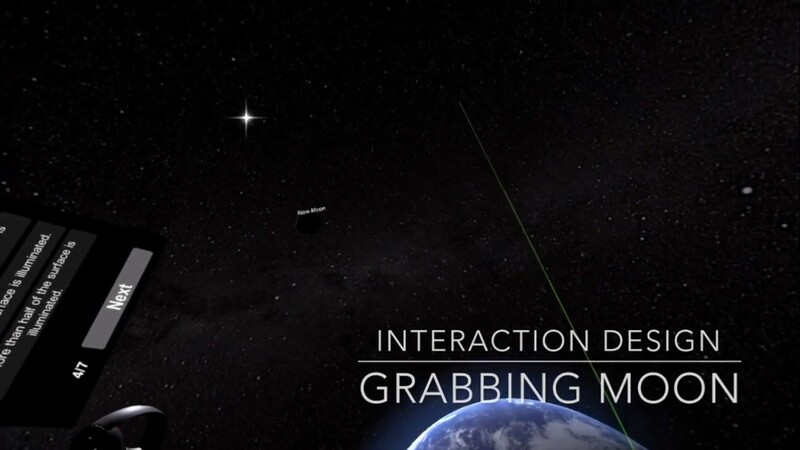 Together they built a virtual environment in which students can learn about moon phases in an interactive space. The environment situates students above the North Pole or far above the earth as they grab the moon and move it around themselves while watching it change phases. Established in 2016, the lab uses several different devices to research virtual reality, from 360 degree videos to full virtual reality systems that allow a user to pick up objects and interact with others. Students are essential to the lab’s research and efficiency. 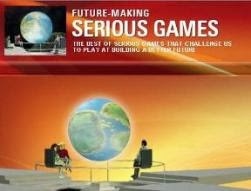 They run experiments, create virtual worlds, and work with professors to answer research questions. The lab collaborates with people across Cornell, including faculty in the Department of Physics, Weill Cornell Medicine, and Cornell Cooperative Extension. 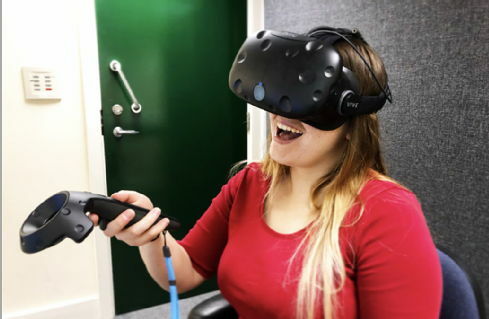 At the University of Warwick, a public research university on the outskirts of Coventry, England, three groups of students were assigned to three different types of learning: fully immersive VR environment, traditional textbook-style materials, or 2-D video of the VR environment. They all learnt about the same subject (biology), and had their learning, emotional response, and learning experience measured. Researchers found that positive emotions were rated higher for the group who experienced the VR learning method, followed by textbook, then video learning. 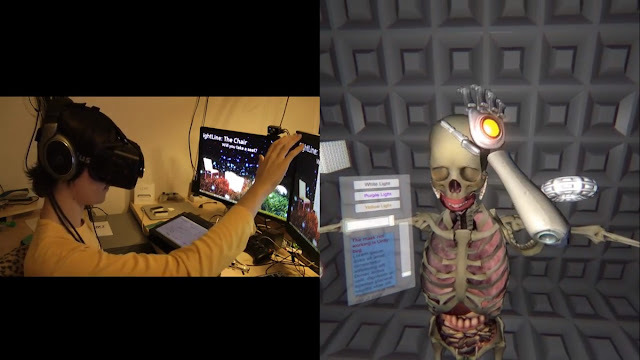 VR students also performed better than students learning with video, showing that the active interaction with the VR environment helped improve learning. This study shows that VR can replicate or complement traditional learning methods inside and outside a classroom setting. Such VR environments can also allow for learning that cannot be replicated in reality, or would be too costly to be accessible. Last week, Columbia College Chicago Online and Santa Clara University announced a new partnership that will expand augmented and virtual reality (AR/VR) education in the SCU community. 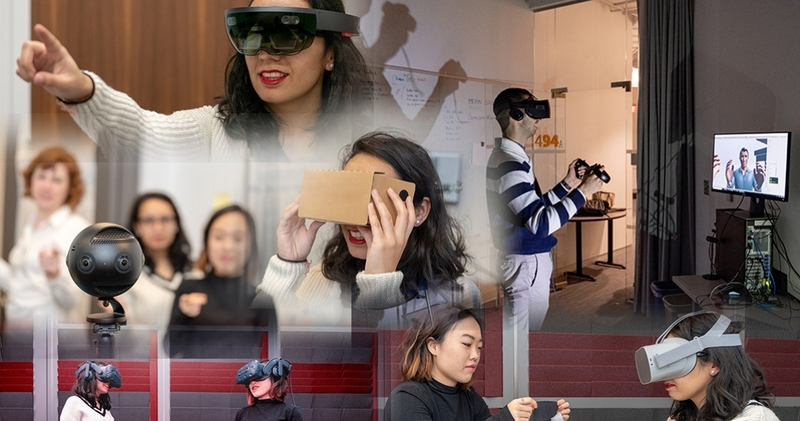 Starting this year, Santa Clara students enrolled through the partnership will have access to SCU’s Imaginarium, a space that serves as a laboratory for hands-on AR/VR experimentation. This “sandbox” for virtual and augmented learning exposes students to VR systems including the Oculus Rift, HTC Vive, and Microsoft HoloLens. Students can choose between three 8-week courses (Producing Augmented and Virtual Reality Experiences, Developing Augmented and Virtual Reality Apps, and Sound Design and Music for Immersive Media) or enroll in all three to earn an Augmented and Virtual Reality Professional Certificate. 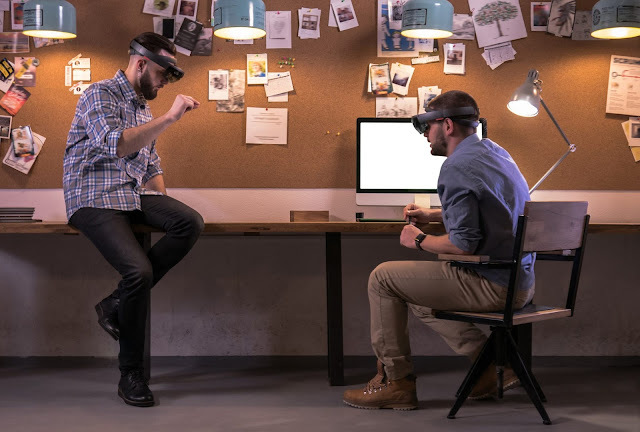 The courses cover the process of AR/VR production, Unity software basics, and techniques for integrating the technology into mobile app development or other creative projects. According to Dan Roy, research scientist at the Massachusetts Institute of Technology, researchers are looking into how to make VR a realistic and helpful option for students. “We’re exploring now what VR is good for, specifically in the context of education. 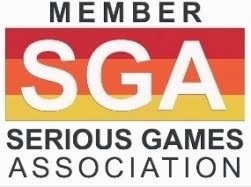 And some initial thoughts about that: increased engagement, a better way of experiencing environments that rely on spatial sense, so something where size and scale are important,” he says. With VR’s capabilities, students can learn subjects in an immersive way like never before. But aside from the cool experiences, Dan says utilizing VR to learn can help students develop school-related skills, as well as skills that could benefit them throughout their lives.